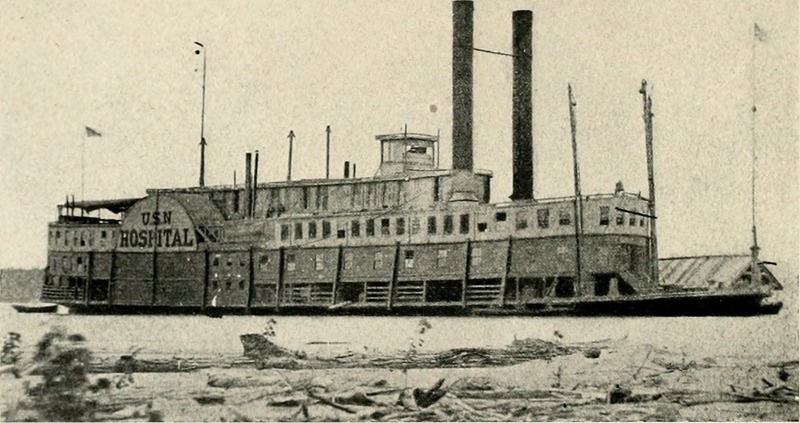 Publisher: New York : Review of Reviews Co.
TIN CLAD 59, AND TUG OPPOSITE THE MOUND CITY HOSPITAL A United States generalhospital was constructed atMound City, on the Ohio,a few miles above its junc-tion with the Mississippi,early in the war. On Sep-tember 29, 1862, SecretaryWelles authorized the con-struction of a marine hos-pital also. The place wasso named because of the ex-istence of a slightly elevatedbit of ground covered withtrees, though at the begin-ning of the war only a fewhouses made up the city.